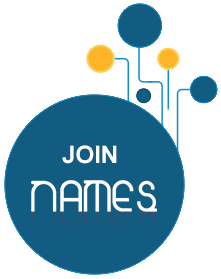 NAMES encompasses four membership categories; each member should fit the membership’s criteria and commit to paying the annual subscription fees within the first three months of the fiscal year. If the member fails to pay the fee during said period, the membership will be automatically annulled unless the BoD decides otherwise in case of force majeure. To rejoin NAMES, said member is required to submit a new membership application. Full membership is opened to both for-profit and not-for-profit institutions and organizations in the North Africa and the Middle East region that are involved in science communication on permanent basis. Said institution or organization needs to be established and operating, with an ongoing informal learning activity that serves the purpose of science communication to the general public, whether directly or indirectly. Applicants must fill out the online application form posted on NAMES website and submit it to NAMES SO. Full membership is granted by consensus of at least two-thirds (2/3) of the BoD to the institution or organization as a whole and not individuals. Sustaining membership is open for any institution or organization inside or outside North Africa and the Middle East region that is involved in the promotion of scientific knowledge, shares or supports the overall mission of the Network, and demonstrates a strong interest in it. Sustaining members can participate in the Network’s activities, but have neither the right of voting nor nomination for the Network’s BoD. Sustaining membership is granted by consensus of at least two-thirds (2/3) of the BoD. Individual membership is opened to individuals who are scientists, scholars, researchers, writers, and/or working in the field of science and technology, and/or their communication in North Africa and the Middle East region. Individual membership does not include institutions or organizations; individual members represent their person and not the institution(s) they are affiliated to. Individual members can participate in the Network’s activities, but have neither the right of voting nor nomination for the Network’s BoD. Individual membership is granted by consensus of at least two-thirds (2/3) of the BoD. Honorary membership may only be granted by election of at least two-thirds (2/3) of the BoD and must be based on particular merits in the field of science or science communication.